Gift Hamper Tray made from sturdy cardboard, tapered to stack easily. 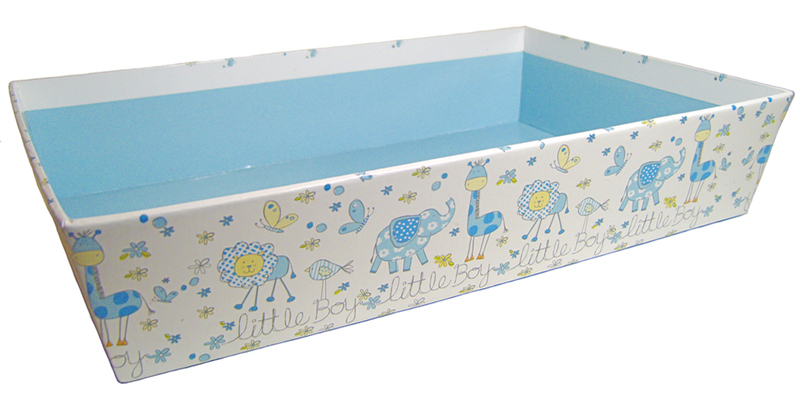 This tray has a cute blue and white nursery design with childlike drawings of lions, elephants, giraffes and butterflies. Perfect for baby showers and birthdays all year round. Measurements are 20 x 15 x 5cm high.